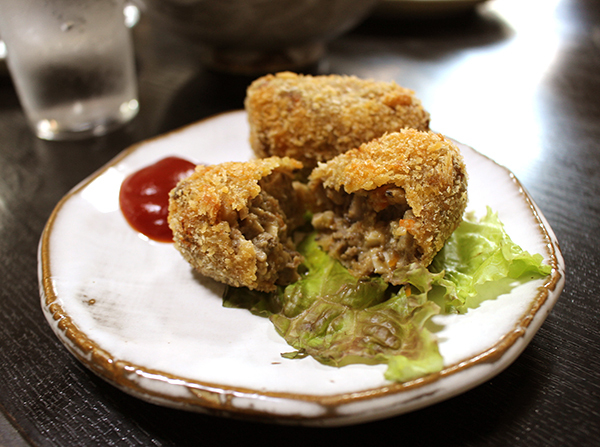 This week, I discovered another dish from Japanese cuisine. 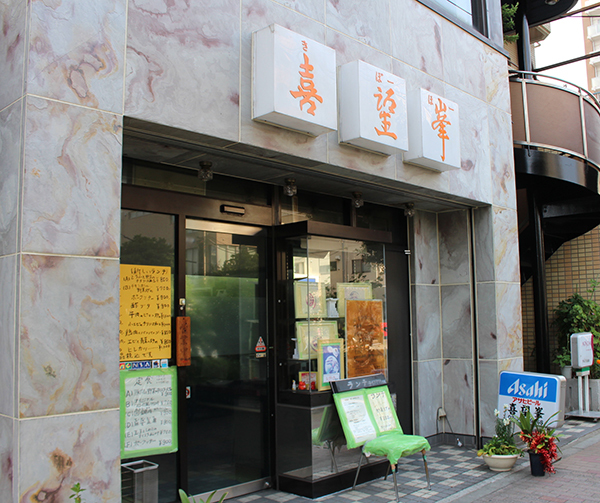 The restaurant, Nagasaki Champon Kibouho, is located just 5 minutes on foot from Nishi-ojima Station. As you enter, you’ll notice the open kitchen immediately. 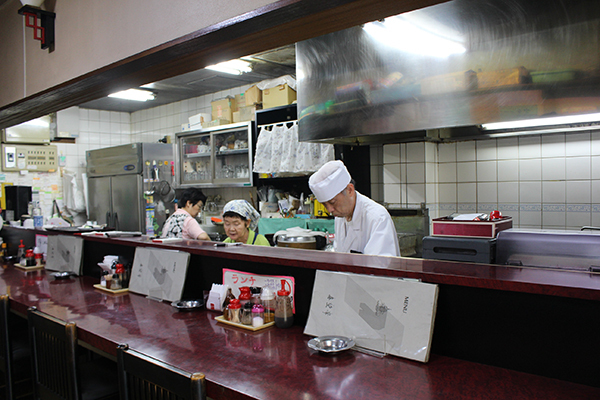 I love that kind of restaurant—it’s always fascinating to observe the kitchen staff preparing your meal. The specialty of the restaurant is Nagasaki champon ramen noodles. 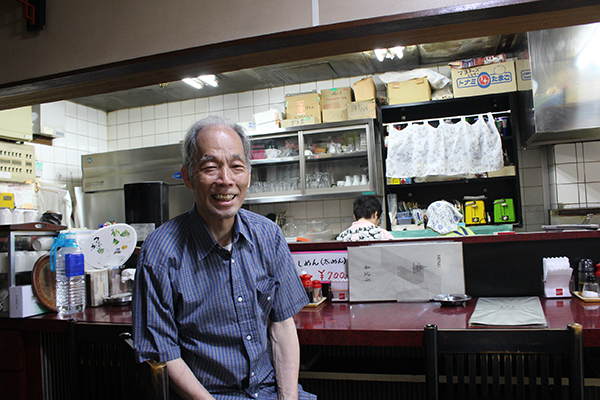 Mr. Ishii, the owner of the restaurant, has over 36 years of experience as a cook! Mr. Ishii and his staff welcomed me warmly, and then right away started focusing on cooking. They were preparing a real feast for me! 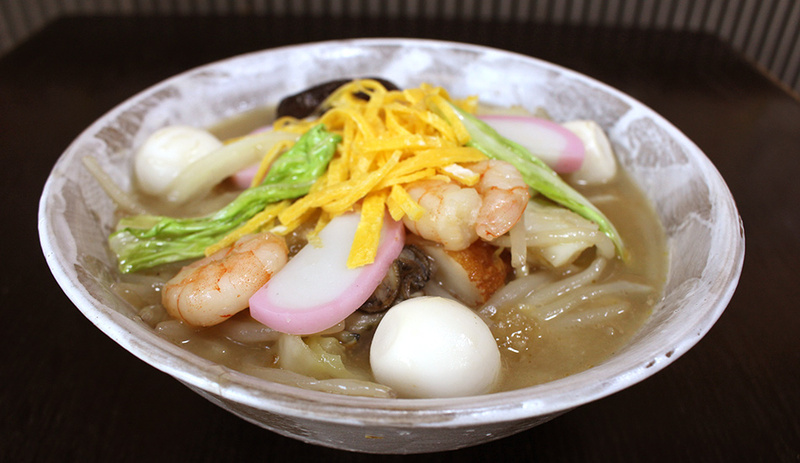 Champon ramen is a famous specialty of Nagasaki. 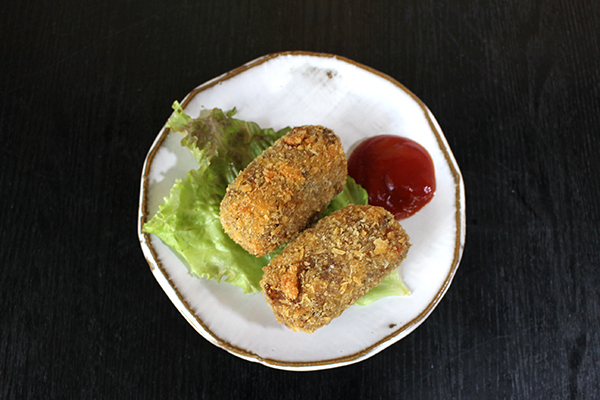 The dish is rooted in Chinese cuisine, but you can taste different variants in Japan, Korea, and China. First, vegetables, seafood, and pork are fried. Then, a soup stock made traditionally with chicken and pork bones is added. Mr. Ishii has, of course, a secret soup recipe. He explained to me that he cooks it for three hours! 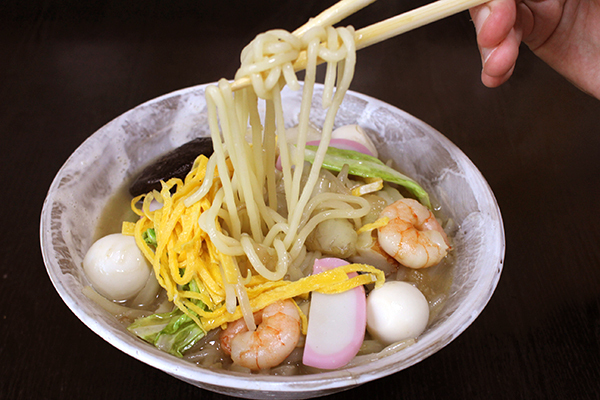 Ramen noodles, made especially for champon, are then added, and everything is boiled together. At Nagasaki Champon Kibouho, I tried the “special champon”. 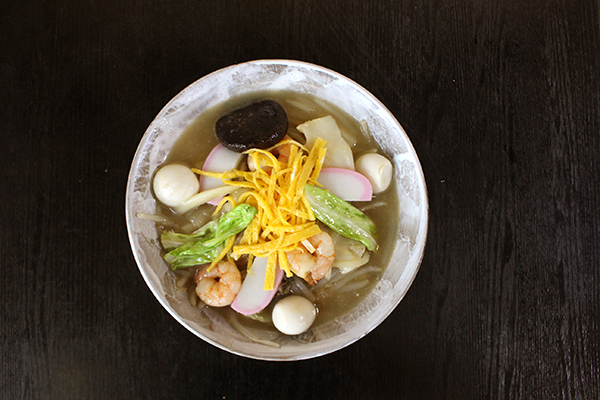 The variety of ingredients is impressive: quail eggs, shrimp, shiitake mushrooms, slices of kamaboko (a red-and-white fish cake), and a wide range of vegetables. The dish is well balanced, and the soup is delicious. Compared to traditional Japanese ramen noodles, the recipe isn’t oily; it’s perfect even if you’re on a diet! I tried another original dish of Mr. Ishii’s: peroshiki (piroshki in Russian). Piroshki is a traditional Russian dish. “I used to work in a restaurant with a Russian cook. I learned the piroshki recipe from him, but since then I’ve adapted it to suit the Japanese taste,” said Mr. Ishii. Traditionally, piroshki are made of a fried bun stuffed with a variety of fillings. Mr. Ishii stuffs his piroshki with pork, beef, carrot, onion, shiitake mushroom, and egg. He also added a kind of béchamel sauce to give a creamy sensation to the mix. 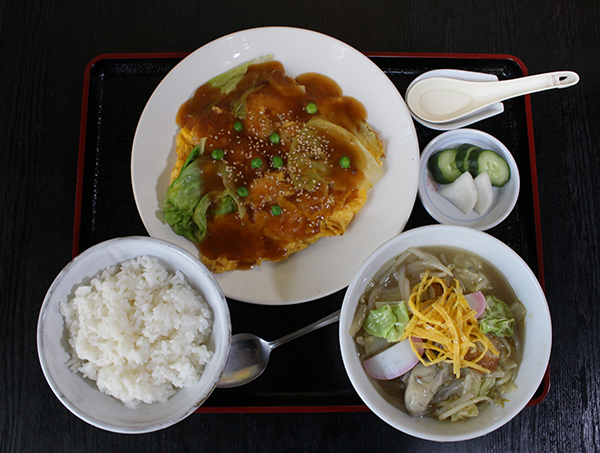 At Mr. Ishii’s restaurant, ladies can enjoy a healthy set for lunch. It consists of dry curry and egg salad sandwiches, Vietnamese spring rolls, fried chicken, and a bowl of original red miso dip (miso is a paste made from fermented soya beans). I also treated myself to chili sauce shrimps and a chili sauce omelet. 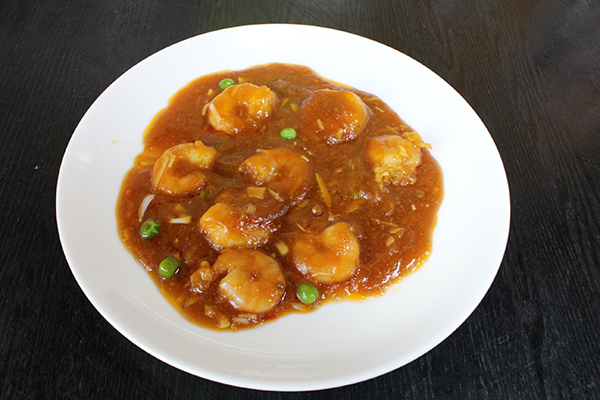 The chili sauce isn’t too hot, so you can enjoy the taste of the shrimps and the omelet. The omelet is fluffy and perfectly cooked. It’s delicious. Prices are reasonable, and various sets are offered. I will be returning here for sure to discover more of Mr. Ishii’s wonderful cuisine!